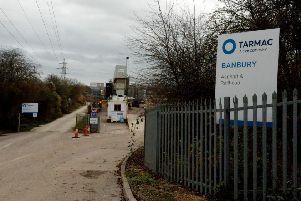 Sixteen sheets of dangerous asbestos have been callously dumped in a woodland near Banbury. The sheets were discovered by a farmer feeding his sheep in a secluded area in Nethercote. Cherwell District Council is carrying out an investigation and is appealing for witnesses who may have seen suspicious activity at a layby near Blacklocks Hill in the first week of October. Although materials containing asbestos are not regarded as harmful if in good condition and left undisturbed, they can produce cancer-causing fibres when moved or damaged. Debbie Pickford, councillor for clean and green, said: “This is a very disappointing act and the council is determined to hold the offenders to account. “Based on the amount of material recovered, we suspect a firm of contractors or a rogue waste collection service may have been involved. The sheets of asbestos were very carefully placed to keep them out of public view, showing a callous element of premeditation. Asbestos can be found in any building built before the year 2000. Illegal waste disposal in a public place is an offence punishable by a fine of up to £50,000, or 12 months imprisonment if convicted in a magistrates’ court. The offence can attract an unlimited fine and up to five years’ imprisonment for perpetrators convicted in a crown court. Anyone with information about this or another fly-tip in the district should contact Cherwell District Council in confidence on 01295 227007. Oxfordshire County Council offers advice on how to deal with asbestos on its website www.oxfordshire.gov.uk. Sheets of cement-bonded asbestos can be taken to Ardley, Redbridge of Dix Pit waste recycling centre and disposers must telephone 24 hours in advance.